Find out the best of what our destination has to offer. I recently read the quote, “My goal is to build a life I don’t need a vacation from” and I thought to myself, whilst I love taking holidays, I also want to realise that goal. I want a life that is fun now! It got me thinking about where I live and why I love where I live - and exactly what are those reasons that I truly do love where I live. And the answers are pretty clear, I live on the Redlands Coast where I have a home but I also live in a location that allows me to feel a lot of the time like I’m on holiday. I thought some more about what are the things I like to do when I’m on holiday. There’s the obvious sightseeing, relaxing, eating and drinking, but on the whole, I like to feel like I’ve experienced something new, a bit of adventure and had some quality family time away from work. A boat ride over to Horseshoe Bay at Peel Island and a snorkel in the ultra-clear water and throwing the fishing line in. A kayak around Coochiemudlo Island stopping on the island to stretch my legs and enjoy a coffee. An early morning bush walk in Bayview Conservation Park to really get the heart rate up (best done with a big group of girlfriends!). A day, a weekend or better still, a week at Straddie to enjoy the beaches, the walks, the 4wd’ing, the pub, the gelati, the koalas, the dolphins and those sensational views! Afternoon fish and chips with a spectacular sunset view – pick a point – Cleveland, Wellington or Victoria. 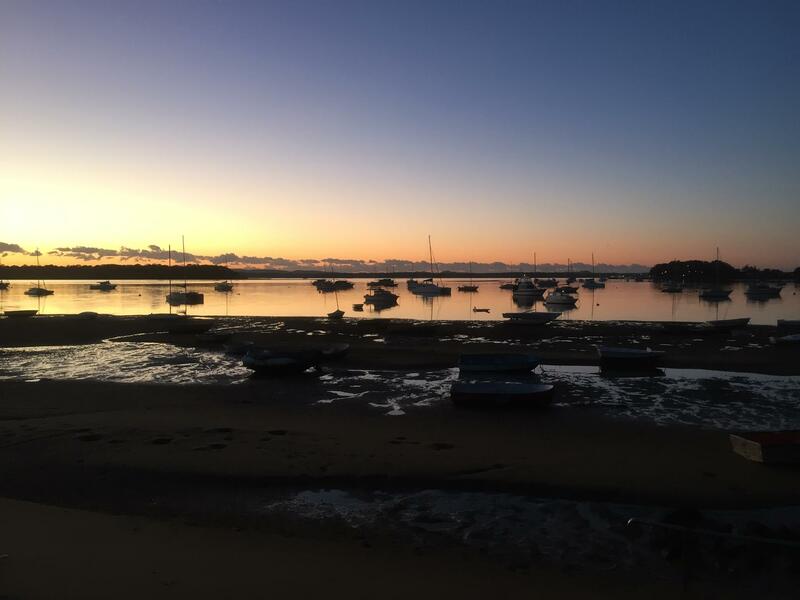 An early morning walk, run or bike ride along the foreshore at Victoria Point – from Point to Point and further round onto the wetlands bike paths over Eprapah Creek. Wine tasting just before lunch at Sirromet, followed by pizza on the Tuscan Terrace. A beer in the beer garden at the Grandview Hotel at Cleveland (Queensland’s oldest licensed hotel). A good old fashioned picnic – whether we pack up the hamper and get out on the boat or just walk down to our local park, we’re spoiled for choice with seaside locations.